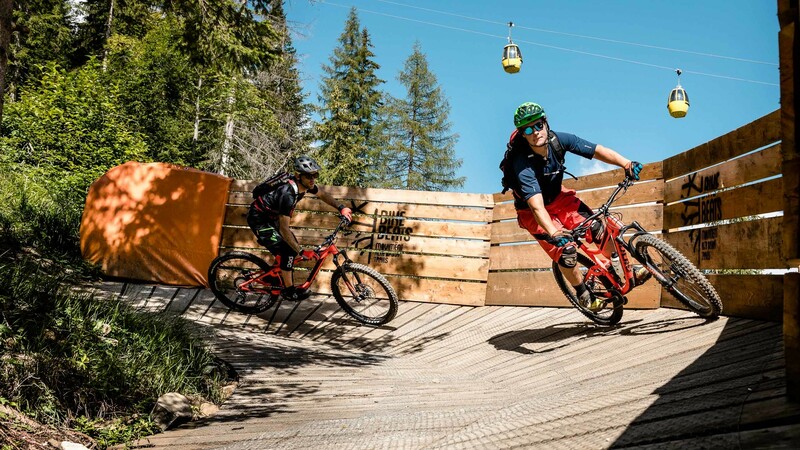 Our program dedicated to the new Dolomites freeride parks. Be ready for a lot of fun trying to tackle them all! 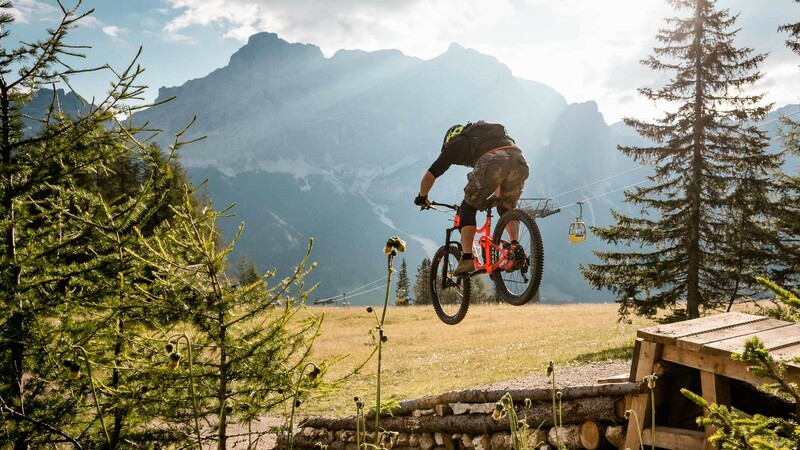 Cycle a different park each day, together with a local expert: from the Cir Flow Trail on the Gardena Pass to that of the Pordoi Pass, from the Bike Beats Park of Piz Sorega to the downhill routes of the Plan de Corones area. 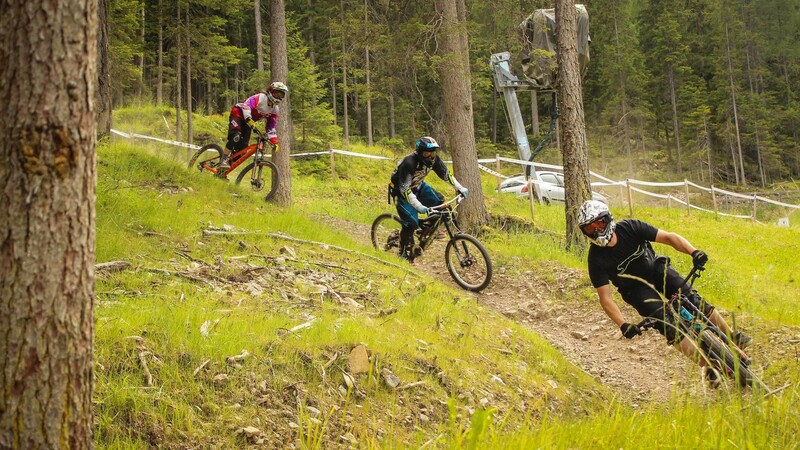 Lodgings in Badia and your pass for all facilities are included in the price. Your guide will take a look at your riding style, thank you will decide the day by day program together. Lunches and beverages and anything not mentioned under the heading "Included in the price"
What is the recommended level to participate? 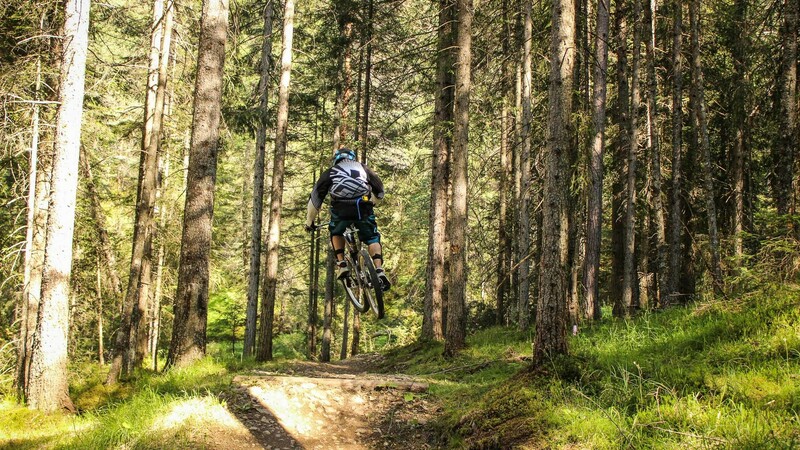 Although our guides will be able to advise you on any technical arrangements to best handle the various trails, it is useful to be trained and in any case have a good experience with the Mountainbike. 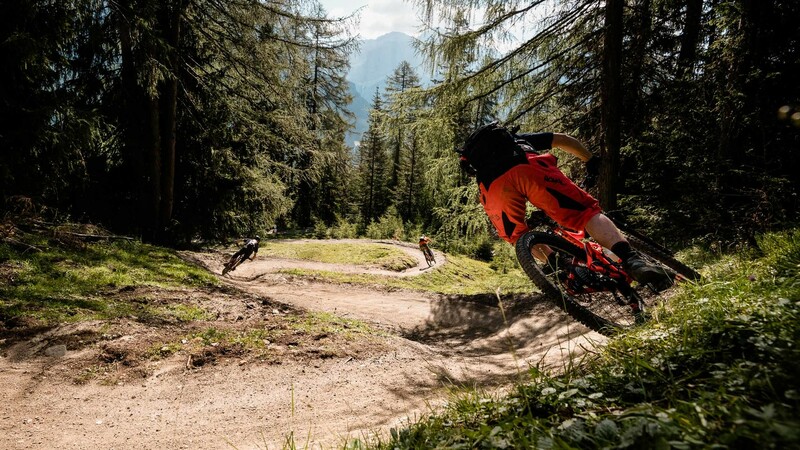 This package is also great for anyone who already enjoys mountain biking, but would like to get a few tips from our expert guides and learn how to improve their riding technique. 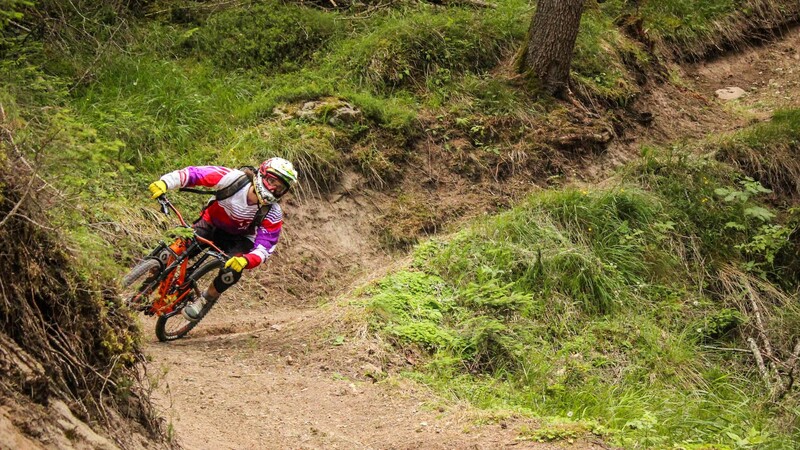 Which particular mountain bike type do you suggest? A fullsuspended bike. The most important thing is that before you start, the bike is in perfect riding condition and has been checked for safety and performance by a specialized bike mechanic. Our guides will make the final decision in compromising weather conditions whether the ride can continue full stage, part stage or otherwise. What specific clothing and gear do you recommend? Please be advised that the use of a certified helmet is mandatory for participation in this bike tour. The helmet must be worn and fastened throughout the entire tour and throughout all of the riding stages without exception. If this rule is not followed, our guides will not be able to allow your participation in the remainder of the tour and you will be asked to leave the group. We ensure the safety of all of our guests to the greatest potential possible, and therefore, will not be flexible with this stipulation. Please make sure to bring a light hydration pack with a few layers of clothing including a lightly insulated jacket, rain gear and gloves. Keep in mind that the weather in the mountains can change quickly and vary in degrees. A beautiful, sunny morning can turn wet and cold by afternoon; so be prepared for everything.